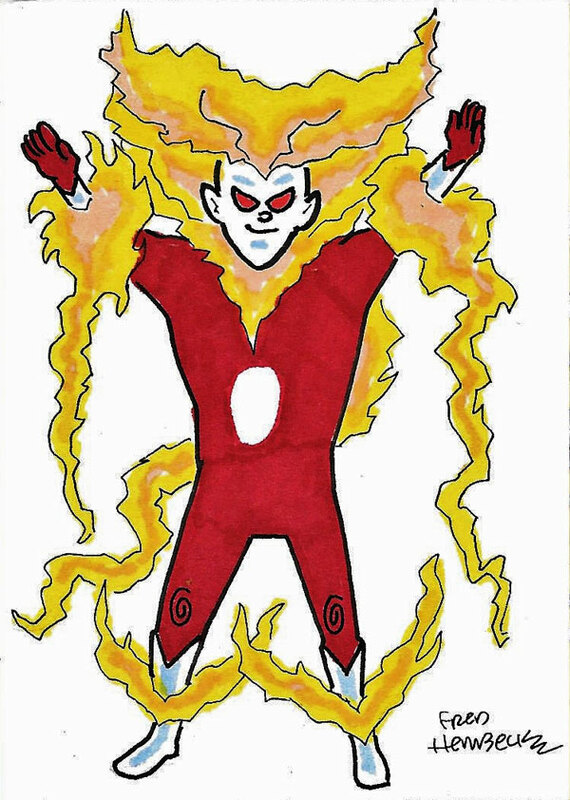 Match-head Nico Lizarraga has sent us another fantastic Fred Hembeck Firestorm sketch! This time it’s the Elemental Firestorm! I never grow tired of Hembeck! I adored his work in Marvel Age and the DC Comics strips on the “Daily Planet” pages! Joy! Click here for some other fun Fred Hembeck Firestorm art! Also, Mr. Hembeck is available for commission work (he even does sketch cards starting at $10 a piece)! Click here for details! Support Firestorm (and Fred Hembeck)! Fan the flame! Posted in: Firestorm #03: Elemental I (Ron/Mikhail/clone), Firestorm #04: Elemental II (Martin), Sketch/Art.